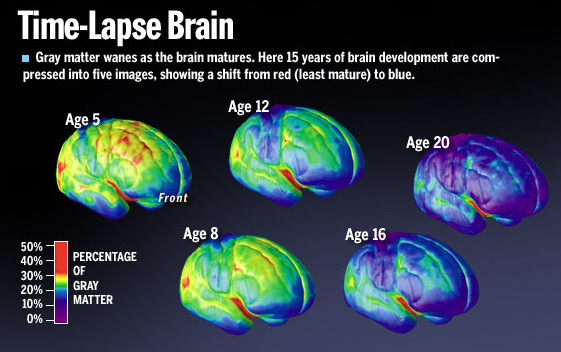 I had seen some of the research slides of the developing brain before, and knew that the brain is not fully developed until – I thought 21 – Dr Gleason suggested maybe not until the mid to late 20’s even 30’s for some. 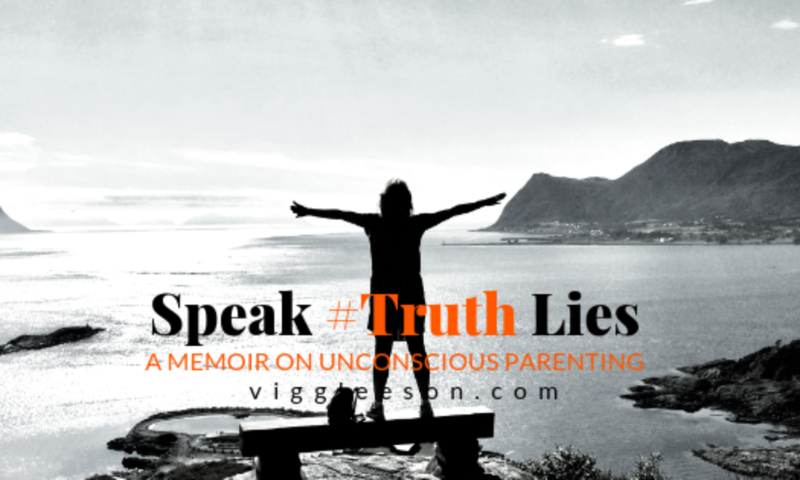 I also knew that our most impressionable years, from birth to about three or four, is when conscious loving parenting is crucial if we want our children to thrive and become confident adults. Dr Gleason spoke about these early years as our first critical developmental and sensitive period. Any trauma in these early years, Dr Gleason offered, fuse in the child’s brain and have life long effects. Thank god, I was thinking, I got those years right with Ruby. ‘Sexual abuse for instance’ Dr Gleason’s voice rose form the orchestra pit interrupting my self righteous thoughts, ‘Though it may have no impact on the child’s behaviour at the time it takes place, often manifests as behaviour challenges in adolescent years.’ He was talking about how the brain stores information and emotions in the prefrontal cortex and the amygdala. ‘It is like the brain incubate the memory of abuse’ he continued, ‘to release it in later years.’ At this point I cold feel my own brain firing on every neurone, as it made new connections, which explained my own shameful adolescent behaviour. This, to me, was new. I sat up taller to listen deeper. ‘The next critical developmental and sensitive period,’ Dr. Gleason went on, ‘takes place from the start of puberty plus about three or four more years.’ To explain this he showed us a brain development time-laps video by neuroscientist Jay Giedd, which clearly show the result of his twenty plus years of research into the developing young brain, between the ages of five to twenty. At the time of puberty our brains have grown to it’s full size, though it’s far from fully developed, which is what was previously believed. Scientists distinguish this between grey matter (not fully developed) and white matter (developed). I’m simplifying here, as my own brain need time to wrap itself around all this stuff. What is really interesting, to me, both as a mother and, in my teens a ‘bad daughter,’ is how Dr Giedd’s brain scan images shows the part of the brain that develops last, is the frontal lobe. Guys, The Frontal Lobe is the part that manage planning, problem solving, spontaneity, memory, initiation, judgement, impulse control, and social and sexual behaviour. Is it any wonder our teenagers don’t behave like adults? Just having this information will stop me from berating Ruby when she, yet again, forgets her lunch money, her gym bag, too practice her guitar, do her homework or wash her hair. Suddenly I’m released from being ‘the nagging mum’ and instead I can be the giver of gentle reminders. Knowing she’s not forgetful or being disrespectful when I ask her, for the umpteen time, to empty the dishwasher or sort out her laundry might seem trivial, but on a deep level it’s a great gift, – to know, that it’s just her brain developing exactly as it should. ‘Just as in the first critical developmental and sensitive period’ I was now hanging on Dr Gleason’s every word. ‘The second critical phase of brain development is equally sensitive to environmental influences.’ What I think he means is that any trauma our pubescent child experiences during these three to four teenage years will most likely manifest, in some form of post traumatic stress. This stress can affect them on a genetic level. That is the level where we pass on our emotional baggage to the next generation, and the next, and the next. We all have some of this baggage from generations past. – Think of it as a preprogramed, hard wired brain, or the operating system on your computer. So when our teenagers, rage agains us and the world at large, behaving as if they just landed from March, firing on all their neurones and emotionaly fuelled on hormones, what do we as grownups do? Well, as Einstein said ‘For every action, there is an equal and opposite reaction,’ so unless we are informed, mature and conscious adults, a natural human reaction is to rage right back at them. The shouting match that can quickly escalate from here, can in and of itself create trauma in our youths, which then manifest into low self-esteem, feeling not good enough, anxiety and depression. This, I know too well form my own childhood. 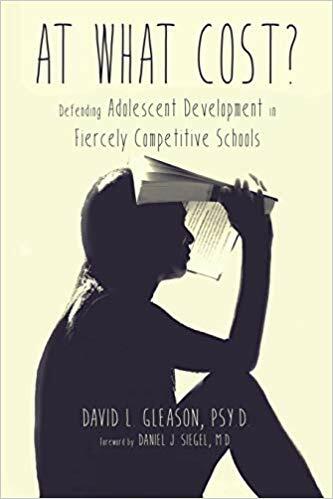 While Dr. Gleason focuses on the effect performance pressure can have on high achieving adolescents, during their middle and high school years, as they strive for top grades, I see his work and research as applicable to all children, environments and families. Because whether we pressure our children to achieve top scores or we rage agains them for ‘bad’ or lacking behaviour, the impression on their brains is the same. 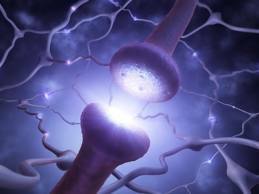 Neurons that fire together wire together – that’s a scientific fact. So now, when we know these adolescent years is a critical time for their developing brain, rendering them ultra sensitive to the environment they’re in, the question to ask is this. 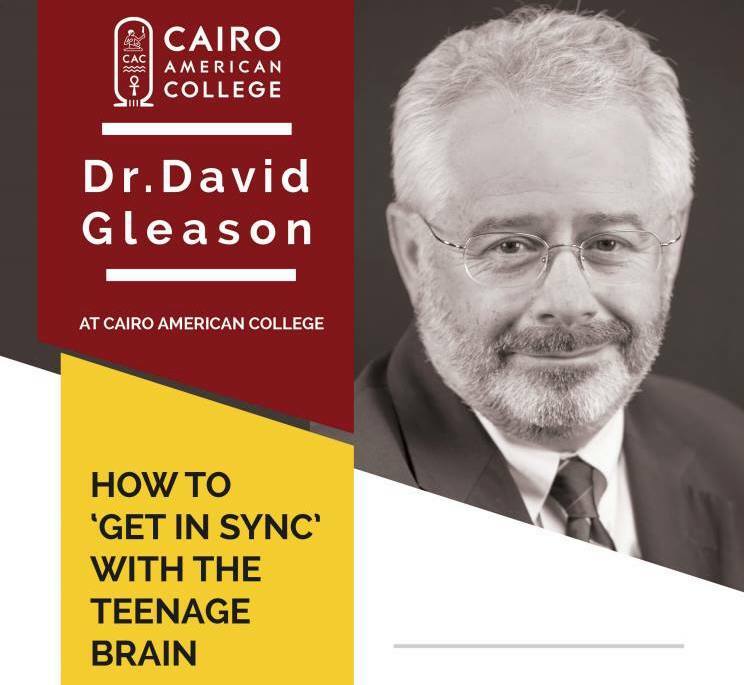 While Dr Gleason’s research provide some answers, he is quick to tell us that this is indeed an adaptive challenge, one we must all meet together. ‘Our amazing brains,’ he offers, ‘light up when we rest and do nothing at all.’ Even the idea for his research and his book ‘At What Cost?’ he tells us, came to him, not when he was hard at work, but when he was out cycling. We all thrive on challenges, the rush of adrenaline as we are about to perform, the satisfaction of a job well done, a deadline meet, an assignment delivered. That’s why we should encourage our children to do their work the best they can. And to keep reminding them, without pressuring or nagging, because they have a right to forget while their frontal lobe takes its natural time to develop. It’s when the schoolwork amplifies, competition on sports fields and art arenas heightens and the pressure simply becomes too much, that we must remember to let them rest and ensure them, even if they fail – they are good enough. They are, after all, human beings – not human doings. As parents, I believe we owe it to them, to become enlightened ourselves. To keep learning about the brain, to study psychology, to practise listening and compassion, so that we can be conscious parents. Having survived the effect of traumatic childhood and adolescent experiences my self, I wholeheartedly believe that conscious loving parenting is crucial if we want our children to thrive and become happy and confident adults. And that – must surly be our collective ultimate goal. If this is your introduction to her work, I leave you with this video, which I hope will give you many lightbulb moments into conscious parenting.